Get away from the Easter madness with peaceful 2 day early weekend cruise from our base on the lovely Beaulieu River. Whether you are looking for a chance to get away from the chaos of an Easter Weekend at home, or want to take family/friends for an unusual Easter celebration join us aboard the Amelie Rose as we set sail from the beautiful Beaulieu River. You’ll join us for Good Friday and Easter Saturday – leaving Easter Sunday and Monday free for a more traditional Easter celebration! Stretching from Weymouth and Poole in the West to Chichester Harbour in the East our home waters have a little of everything. From bustling harbours like Yarmouth to quiet anchorages like Newtown Creek there’s plenty to discover and a Traditional Taster Weekend gives you the perfect opportunity to see what sailing Amelie Rose is all about. You’ll be joining us at Bucklers Hard on the Beaulieu River on the Thursday night, where you can enjoy a meal at the Master Builders Hotel and meet the other guest crew. With food and introductions complete we’ll move to the boat where you’ll find yourself a bunk, stow your gear and have a look around. Before we head to our bunks we’ll usually have a chat about potential destinations for the following day. After breakfast on Friday morning we’ll head downriver and out into the Solent where you’ll spend the day learning how to sail the boat. Lunch will be served either at anchor or underway, and in the afternoon we’ll head to our overnight destination. Typical haunts include; Yarmouth, Chichester Harbour, Poole, Studland Bay, Newtown Creek, Cowes and Alum Bay and we may stay at anchor or be alongside in harbour depending on what we all feel like. Depending on what the tide is up to, Saturday may start early or include a lie in but there’ll be breakfast to eat and sailing to be done before we head back to the Beaulieu River by mid afternoon. After packing up gear, our guest crews often decamp back to the pub for a farewell drink before heading home. Do you have anything you'd like to ask? Use the Booking Enquiry Form to send us an enquiry, (or you can ring us, or use the live chat option below, right). 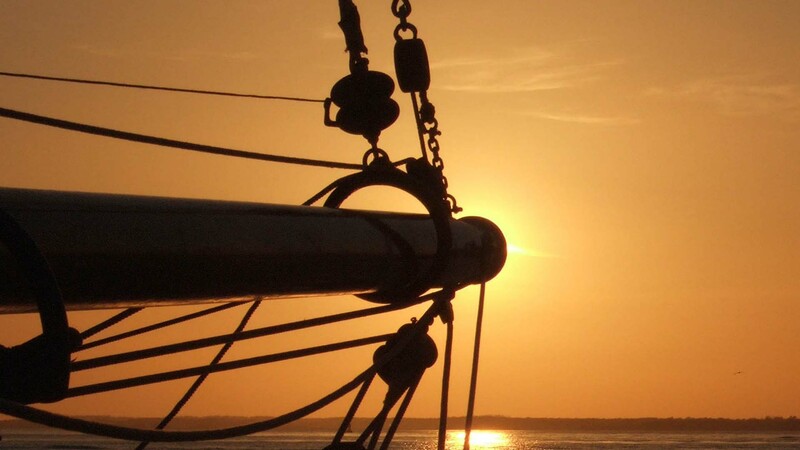 We’ll check the availability of the berth(s) and respond via email to any queries you raise. Fill in online booking form(s) for you (and any others in your group). Pay the Deposit by Bank Transfer or Credit/Debit Card. We’ll send you a confirmation as soon as we receive the forms and deposit. Now just £395 per person! Our favourite annual event - the pilot cutter tribe assemble in Cornwall for a long weekend of racing and shore-side fun. Sail West from Falmouth to the Isles of Scilly - clear blue waters & white sandy beaches abound in this sun-kissed haven. Now just £595 per person!